Rooms from $84.79 per night. Description This Atlanta, Georgia hotel has an outdoor pool, free internet access, non-smoking guest rooms and an on-site restaurant. This hotel is also pet friendly. Free Wi-Fi and an outdoor pool are enjoyed by guests who stay at the pet-friendly Comfort Inn & Conference Center North Atlanta. The four-story hotel has 125 rooms with free Wi-Fi flat-panel TVs with cable coffeemakers and granite vanities. Rooms with microwaves mini-fridges and jetted tubs are available. Pets are allowed in designated pet rooms for an added fee; non-smoking rooms are also available. 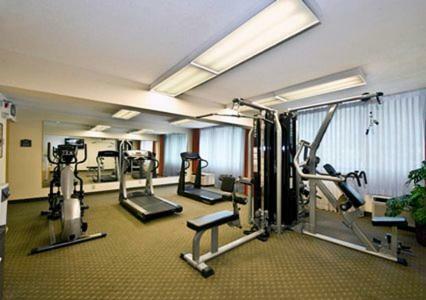 Guests can take a swim in the seasonal outdoor pool and work out in the hotel's on-site gym. Parking is free. The hotel is just off I-285 and approximately one mile from I-85. Dining and unique shopping can be found less than a mile away on the colorful and international Buford Highway corridor. Downtown Atlanta has Philips Arena the Georgia Capitol Georgia Aquarium and the World of Coca-Cola all 20 minutes away by car. Downtown is also easily accessed by the MARTA public transportation system which is a less than a mile from the hotel. Hartsfield-Jackson Atlanta International Airport is approximately 25 miles away also accessible by MARTA. 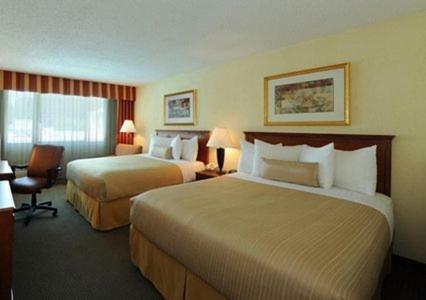 Add Clarion Hotel & Conference Center North Atlanta to your free online travel itinerary.